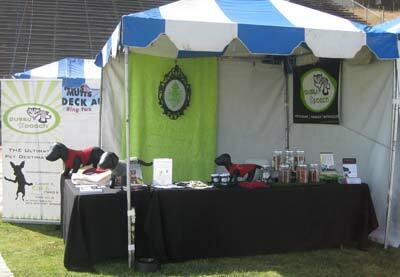 On May 17th, P&P participated and sponsoredThe 8th Annual Nuts for Mutts Dog Show and Pet Fair in Woodland Hills. In the Photo – check out our booth where we handed out snacks to the hungry dogs in attendance. Our water bowls were extra busy as Woodland Hills is no stranger to hot weather. The event included a mixed breed dog show, pet adoptions, a fair with vendors, great food, live music, a silent auction - all benefiting nonprofit animal rescue organization, New Leash on Life. P&P is proud to support rescue organizations. This was our first event supporting New Leash on Life. We were very happy with the attendance and success of the event - over 30 dogs found new homes!